At Verified Security in Atlanta, we combine the delivery of superior products and services with extremely responsive service to provide you with the best physical security solutions. As providers of security and alarm systems, access control, monitored security and fire alarm systems, video surveillance systems, and other integrated low voltage systems, we have the depth and breadth of experience needed to provide you with a superior solution. We want to make your life easier with the advanced security products and services we offer. 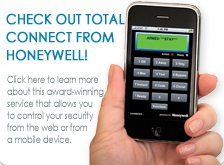 We sell, install, and service security systems that will allow you to control your security from anywhere at any time. Arm and disarm your security system with a mobile device; view live video over the Internet, lock and unlock doors with any Internet connection—all of these activities are possible today and we can help you benefit from them. Our focus is on your satisfaction. We want to build a long-term relationship with you and to be your trusted security systems provider. For your security & alarm projects, we will listen to your needs and recommend a custom-designed, cost-effective solution. Also, as a locally-owned and locally-managed company based in Atlanta, we can provide extremely responsive service. You can trust that we will take care of your needs. We would like to help you with your security needs. Please contact us at 678-924-7480 or via email at info@verifiedsecurity.com for your security, alarm, access control, fire alarm, video surveillance, and other low-voltage systems needs in Atlanta.